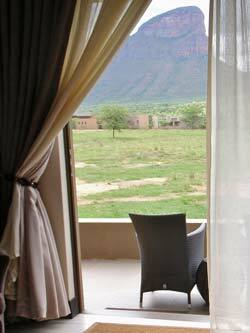 The Sea Star Golf & Safari Villas and Suites are built in the bush where there are no fences or gardens. 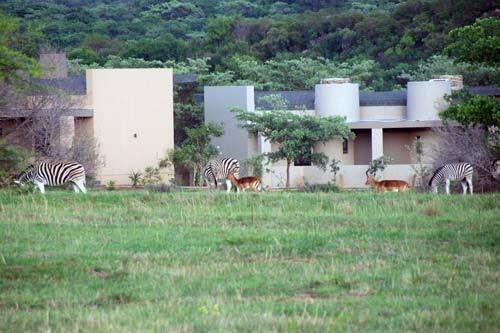 Zebras, antelopes, impalas and many more friendly mammals roam free around your Villa and Suites. 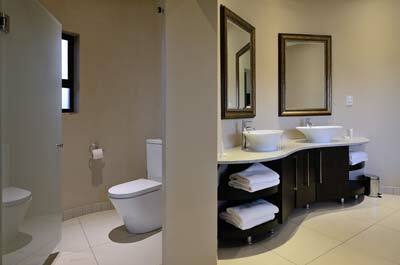 These comfortable suites (40 sqm) feature a combined living and bedroom with a seating area, terrace and luxurious en-suite bathroom with a huge walk-in-shower, a separate big bathtub (ideally for two people) and double vanity as well as a separate toilet. 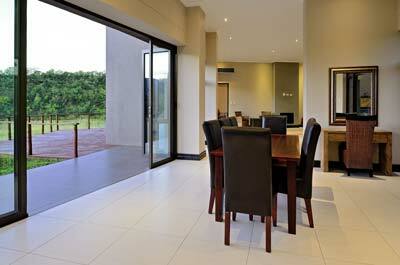 Panoramic views are enjoyed through large picture windows while glass sliding doors lead onto a secluded outdoor patio. In-room facilities include a TV, telephone, mini-bar with fridge/freezer (stocked on request), safe, tea/coffee making facilities, ceiling fans and air-conditioning. The combination of design elements and high quality finishes ensure a uniform standard of luxury and elegance throughout the Resort. 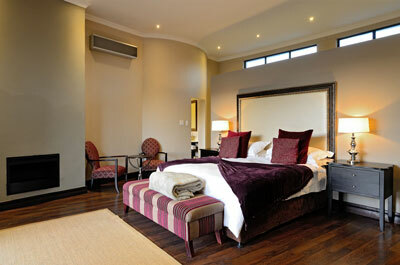 Guests can choose either King Size bed or two single beds. The luxurious and extremely spacious One Bedroom Villa (150sqm) consist of a separate bedroom with walk-in-cupboard and/or a big cupboard section hidden behind your comfortable King size bed. The large bedroom of your Villa is equipped with desk and mini bar, telephone and tv, a seating area with a small table and an open fire place. 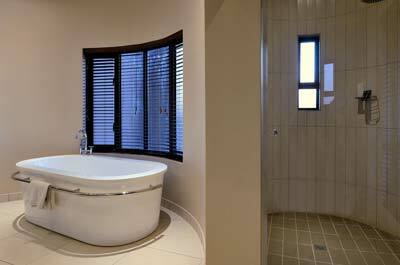 Next to your Master bedroom you find your spacious en-suite bathroom with big bathtub, large walk-in shower, double basin and separate toilet. 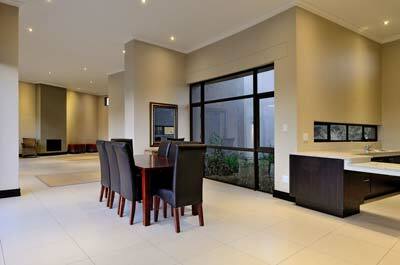 Besides the main bedroom you enter the generous living room with a cosy couch area and coffee table. Large tv and an open fire place add comfort to your home from home. 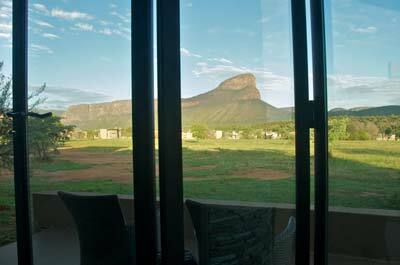 The lovely dining area with beautiful views over the safari bush and Hanglip Mountain is air-conditioned and hosts a large dining table with eight chairs. Your open plan kitchen and bar area is fully equipped with all items needed (large fridge, oven, microwave, dishwasher, cutlery and crockery, etc) that you can use to preparing a delicious meal for your partner, friends and family. 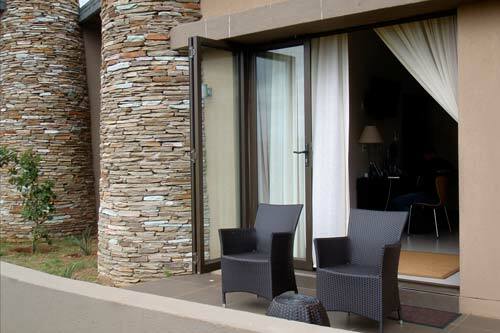 The Villa also has a spacious terrace (30sqm) and an outside braai area where you can invite your friends and family for yummy ribs and steaks while sipping on a glass of wine or beer. 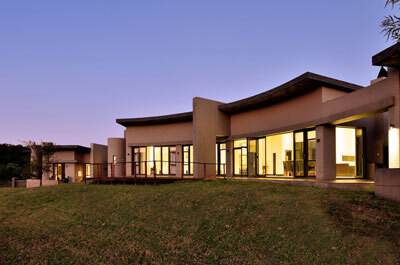 The Sea Star Villas consist of one huge Master Suite (150sqm) and three individual bedrooms linked by walkways, offer accommodation of unmatched, timeless elegance dedicated to relaxation and reflecting the African wilderness. All rooms offer panoramic views of the safari bush and Hanglip Mountain which are enjoyed through large picture windows while glass sliding doors lead onto a secluded outdoor patio. 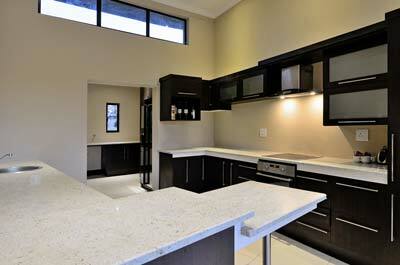 The Sea Star Villa allows you to host up to eight guests in your own luxurious environment. 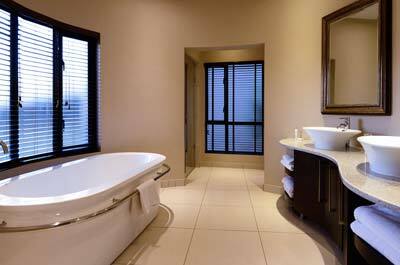 One huge Master Suite is surrounded by three Luxury En-Suite Rooms, one on the left and on the right hand side. 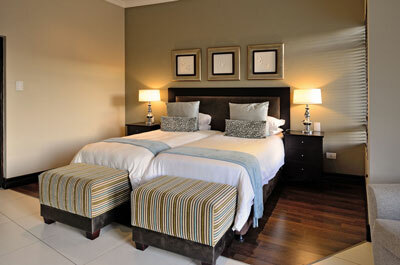 The Sea Star Villa is the perfect place to spend a holiday away from home with your friends and family. 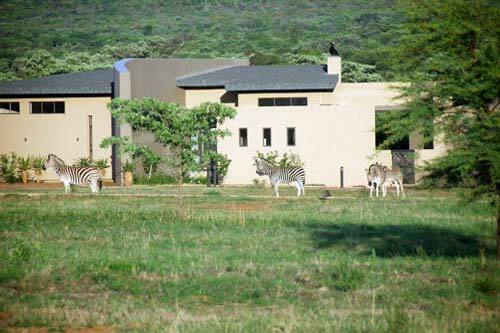 Enjoy the famous Legend Golf course, some game drives to the Big Five, a massage at the spa and many more activities and end the day with a braai in our own Villa at Legend.